Some people use my tips on ways to get free cash to help pay the rent. Others use them to bankroll something crazy. 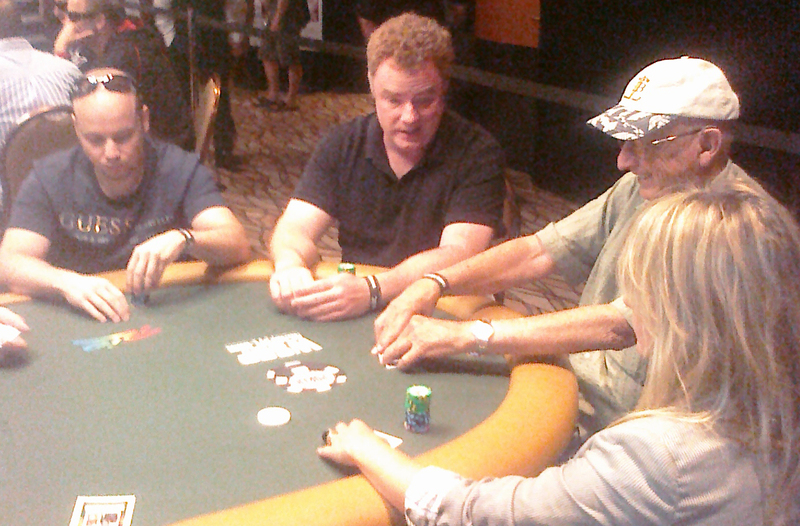 I splurged on something ridiculous – an entry into the World Series of Poker in Las Vegas. Even better, I cashed! Out of 3,102 players, I came in 171st place in my $1,000 buy-in, No Limit Texas Hold’em tourney. See my “trophy” below. Playing in the WSOP was not complete folly. I had been playing in competitive home games for years against players who had cashed in the WSOP – including Main Event Champion Jamie Gold whom I interviewed on my PodCASHt. I did not play in the Main Event – which crowns a new champ tonight on ESPN. The $10,000 buy-in price tag was a bit steep. I did play with ESPN’s Main Event play-by-play announcer Lon McEachern. He sat down at my table and I was able to lose a hand to him. I did not do this willy-nilly. I had my $1,000 cashier’s check sitting on my desk for about a month before I mailed it in with my registration form. I know the value of money. I know the feeling that being debt-free gives me. I also know the lack of freedom I felt when I didn’t have money in the bank. Eventually, I talked myself into playing because I had to spend my dough on something other than indestructible clothes. I reminded myself, I had already made thousands of dollars doing things like this and saved thousands doing this when I had to fly on short notice to a couple funerals. If you are so inclined, I encourage everyone to think outside the box a bit. Do a few of these odd-ball ways to collect some free cash, squirrel away the dough, and treat yourself – guilt free! Remember, it’s the little stuff that adds up – debt or savings. What do you splurge on? Here’s a copy of my trophy/check. If you think I might be trying to Photoshop ya, here are the tournament results. Next articleIs This a Smart Way to Pay Your Taxes? Hold’em is that you learn as much about the game before you start playing. Be more selective with the hands you play pre flop.